Last week, I wrote about some of the many many (many!) savory products on display at the 2013 Summer Fancy Food Show at New York's Javits Center. This week, I want to mention some of the sweets. There were many producers catering to special diets, and gluten-free and vegan products abounded. One of my favorites was Cocomels, a caramel using coconut milk in place of the usual dairy. They're both vegan and gluten-free, also corn syrup- and soy-free, and non-GMO. Most importantly, they're delicious, chewy, creamy caramels with a hint of coconut flavor. 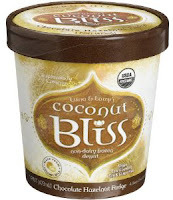 Another vegan coconut product is Coconut Bliss, a frozen dessert made with coconut milk. It's not exactly ice cream, but it's very good, and it comes in more than a dozen flavors that can be purchased at your local Whole Foods. 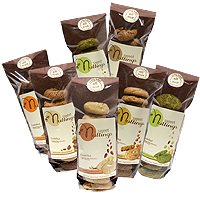 CookiNuts, by Maryland-based Sweet Nuttings, are dairy- and gluten-free treats that are reminiscent of soft, chewy, Italian almond cookies, only with a much-higher nut content. I suspect that they contain egg whites, so they are not vegan. Nonetheless, they are delicious, more nutritious, and more filling than your garden variety commercial cookie. Then there were the chocolates. Among the many brands I sampled, one of my favorites was Chuao Chocolatier, mostly because they put bacon and potato chips in their chocolate bars. I know! The milk maple bacon bar has little nubbins of bacony goodness and a hint of smoked sea salt, and the potato chip bar has kettle chip bits mingled in milk chocolate. I also liked their dark chocolate Firecracker bar, which has chipotle pepper and popping candy mixed in. Another chocolatier that caught my eye...my tastebuds, actually...was Hagensborg. 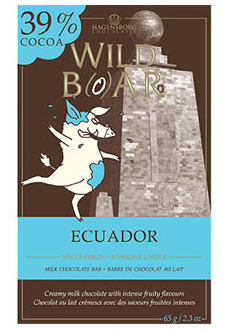 Part of me was attracted to the company's pig motif, but another part wanted to taste all of the sustainable exotic single origin chocolate from Ecuador, Madagascar, and Santo Domingo. The 39% cocoa Ecuador milk bar was my favorite, because I like to buck the trend: I'm not all that into super dark chocolate. Local favorite Fisher's Popcorn also had a presence at the Fancy Food Show. Now Baltimoreans don't have to make the drive all the way to Ocean City to enjoy a couple handfuls of Fisher's delicious caramel corn. 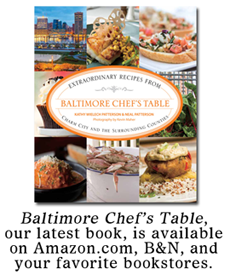 It's available in bags at the Harbor East branch of Whole Foods, plus assorted other locations all over the state. 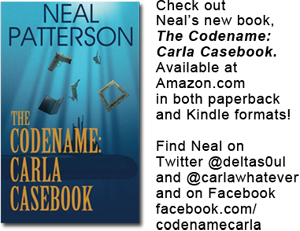 (Check out this page for more information.) In addition to the regular caramel corn and white cheddar flavors, there's a new chipotle caramel popcorn flavor. My taste of this variety was only slightly spicy, so don't worry about it being too hot to enjoy. These are but a mere sampling of the many many sweet items I tried at the show. 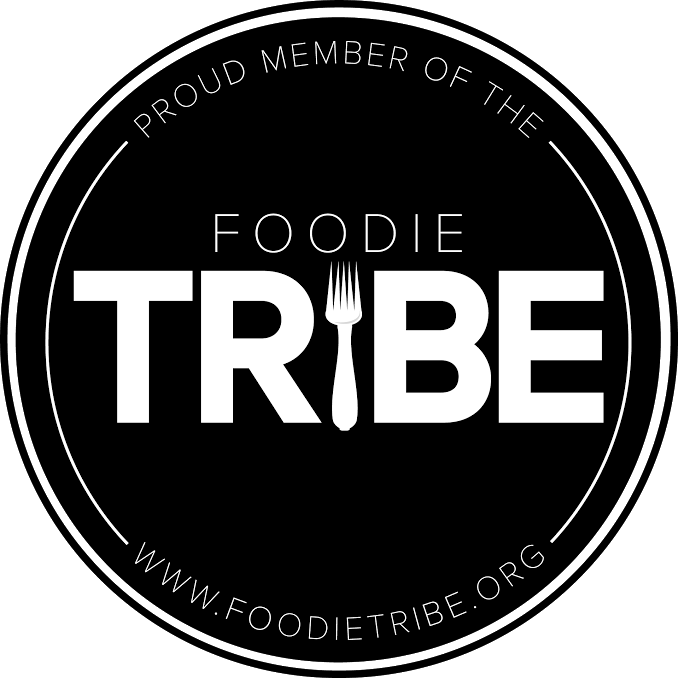 I hope it gives you some idea of the new food items that are hitting the stores now and in the near future, and encourages you try something new and different on occasion.